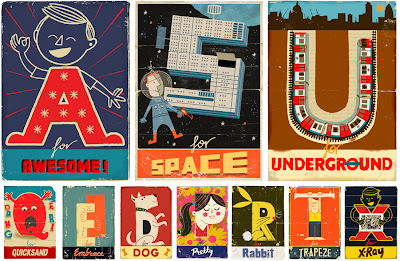 Every kid needs at least a few alphabet books and Paul Thurlby's Alphabet should definitely be one of them. 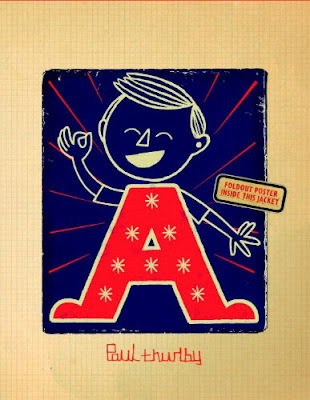 Alphabet books almost always come with the same letter/word match ups: A is for apple, B is for bee – which is a terrible example for kids, "This B is a letter, this bee is an insect." But Paul Thurlby's Alphabet is almost completely different than the expected alphabet – although D is for dog and R is for rabbit are pretty standard. But, I don't think you'll find another book where A is for awesome and S is for space. This is also the only alphabet that I've see where X isn't for xylophone – which is another terrible example for kids because X usually doesn't make a Z sounds, except in xylophone. After your kid has mastered whatever standard alphabet book you're using to teach them letters, shift to Paul Thurlby's Alphabet. The illustrations are gorgeous and the letter/word match ups are unexpected – which is good for the parent who has to read the book 100 times and the kid who is learning what letters really look/sound like. I absolutely love it! And I may never have seen it, had you not shared it here - so, thank you.